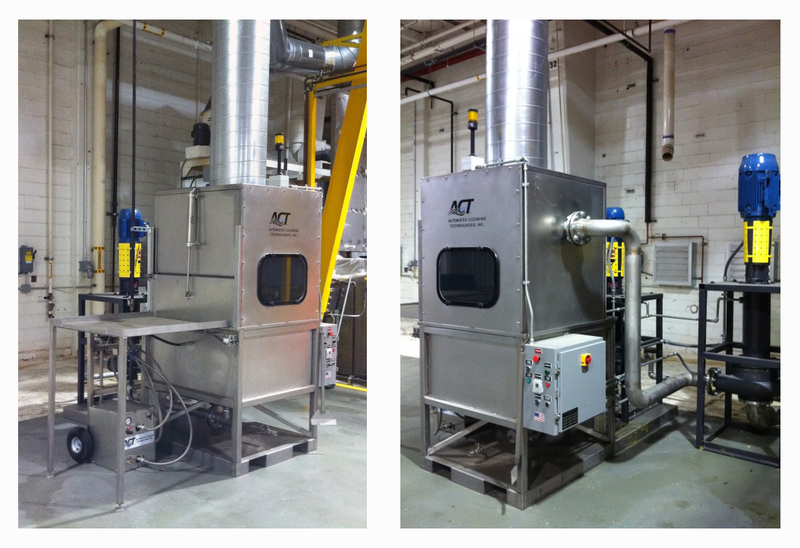 ACT has extensive expertise in designing, engineering and fabricating modern automated paint stripping systems. 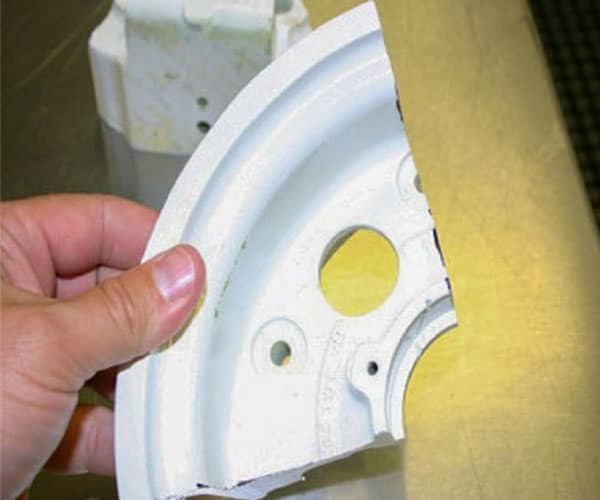 In fact, ACT has designed and installed dozens of specialized paint stripping system modification for the United States Military, as well as for corporate customers, where soft metal stripping precludes abrasive blasting procedures increasing product lifespan while minimizing maintenance and downtime. Automated paint stripping systems eliminate the need for an operator working at the machine, as well as improve health and environmental issues. ACT’s systems are the state-of-the-art machines designed for use directly with our MIL-PRF-83936 modern and environmentally safe stripping chemistries, TURBO STRIP and TURBO SEAL, and are used daily on many critical components prior to non-destructive testing. Combining with ACT’s standard platform oscillation provided by the pneumatic elevator, our automated paint stripping systems constantly changing flow patterns get the solution into all areas of the working zone, even recessed areas. The heated semi-aqueous Turbo Strip® formula rapidly gets behind paint and lifts it while “fresh” solution penetrates further. Safe on soft metal parts and automated to drastically reduce the time and manual labor. High freeboard requirements as dictated by California law and other environmentally sensitive areas are no problem for the new ACT S-Series systems. 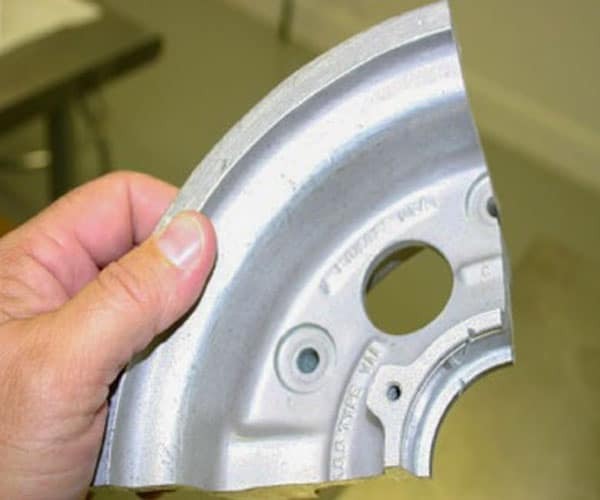 Use our machines at maximum temperature and still have enough solution coverage to process large C-130 wheel halves or other large parts without risking an environmental write-up! Contact an ACT sales engineer today to learn more about our line of modern automated paint stripping systems. Chemical paint stripping when soft substrate materials need to be inspected for cracks is often the only method safe (or authorized) for use. Paint is lifted from the surface of the substrate(s) by a chemical reaction, heat, and changing flows of solution over, under, and through the load created by ACT’s adjustable elevator action from 20-240 strokes per minute. The resulting paint that has been removed is now an issue to deal with in the tank. 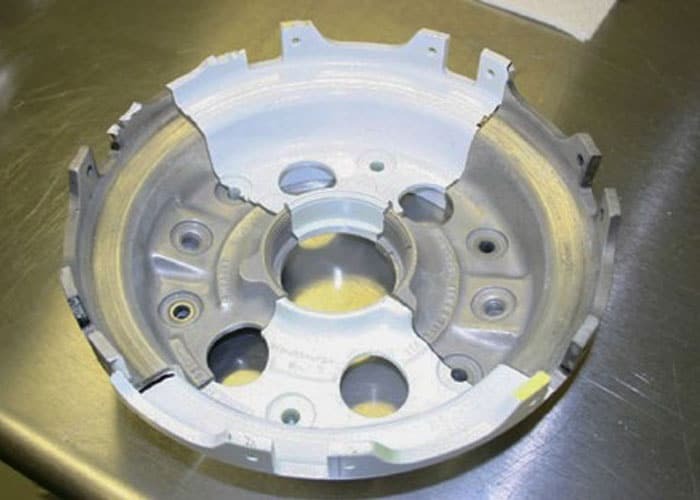 Left in contact with the chemical stripper, such as ACT’s highly effective Turbo Strip, the already removed paint chunks, and sheets, are still reacted on by the solution. This can drastically reduce the active life span of the chemical. The answer is to remove the paint residue as quickly as possible. Some might consider filter housings, however these still leave the paint residue in the chemical. This may be fine for smaller systems, but consider a 2,000+ gallon stripping system. Preservation of chemical viability is critical. ACT engineered its stretch system for just this purpose. Employing high volume pumps and stainless steel mesh of varying open area in drawers, our systems rapidly push material from the ACT STRH Strip Processor, and pass it through the mesh drawers, with “clean” chemical returned to the tank. The captured paint residue is suspended out of the chemical, thereby ending the chemical reaction and resulting depletion. Drawers are easily opened and scraped into a suitable disposal drum. The Stretch can be set to operate for certain periods of the day or after processing.